.:Soul:. FGC ~ We <3 RP ~ Coven | .:Soul:. The Coven – Open Heart Earrings & Heavy Heart Uni Ears 25% off! I’ve got two new things set up at The Coven for their Love Spell round! and some Open Heart Earrings to decorate your newly deformed lobes (or normal lobes) and remind you to keep your heart open, no matter what. 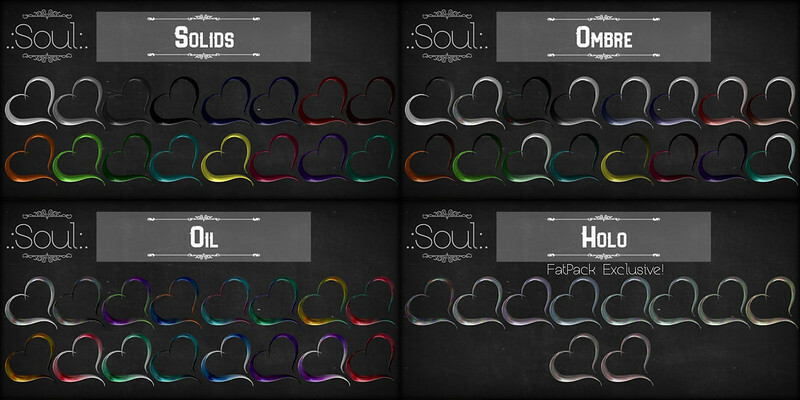 Available separately in 3 packs, or get the FatPack for the Exclusive Holo Set too! We ❤ Roleplay – [SE Snow] Special Edition Skins 25% off! 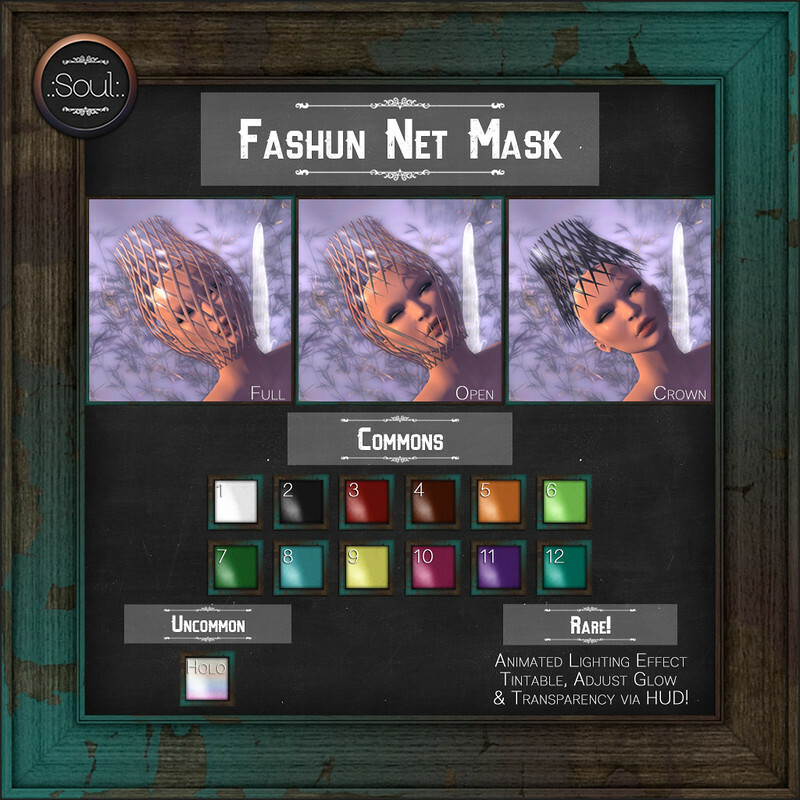 These ethereal netted masks come in 3 styles, with 12 Common colors, 1 Uncommon, and 1 Rare each. The Rares are Animated Light Rays with the inner and outer tintable separately via the Included HUD. You can also adjust the glow and transparency (alpha) via the options menu. This entry was posted in Accessories, Appliers, Body parts, Events, Fantasy Gatcha Carnival, Female, Head Appliers, Male, New Releases, Skins, The Coven, Uni Ears, Unisex, We <3 RP! and tagged Adam, Belleza, Carnival, Catwa, Coven, earring, Ethereal, Fakit, Fala, fantasy, Fashun, Female, FGC, gacha, gatcha, Lelutka, Love, Maitreya, male, Mask, Materials, Net, omega, Potion, Signature, skins, SLINK, Snow, special edition, Uni Ears, valentines, Vista Bento Hands, We love roleplay. Bookmark the permalink.